Now in its 6th year, Interior Design's HiP Awards at NeoCon honors industry people and innovative products. This unique initiative honors commercial industry pioneers and achievement in product applications. The 2019 HiP Awards ceremony will take place at the Merchandise Mart in Chicago on Sunday, June 9. HiP Winners and honorees will be announced live at this exclusive event. The deadline to enter is May 3. Submission Fee: $200 per entry. Winners of the HiP Awards will be announced LIVE at the award ceremony hosted by Cindy Allen, Editor in Chief of Interior Design, on June 9 at Chicago. All HiP Finalists will receive 2 complimentary tickets to the Awards and after party at NeoCon. Additional ticket and event information will be posted on this site prior to the event. View coverage from HiP 2018. 1. Create an account or log in here. 2. Start a new submission. 5. Save finalized submission forms and check out when ready. *Note: people or products may be submitted to one or more categories, but one entry is required for each submission. If you'd like to duplicate your started entry in order to submit it to multiple categories, you may do so on the last page of the submission form. There is no limit to the number of entries you may submit. Interior Design is the global, industry-leading design publication, website and events company serving the interior design, architectural and facility management audiences. 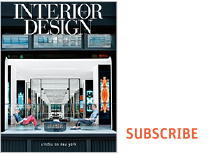 For over 85 years, Interior Design magazine—published by SANDOW, which builds smart businesses driven by innovation and design—has been the essential design authority for every professional, on all projects, throughout the design process.